Woo! 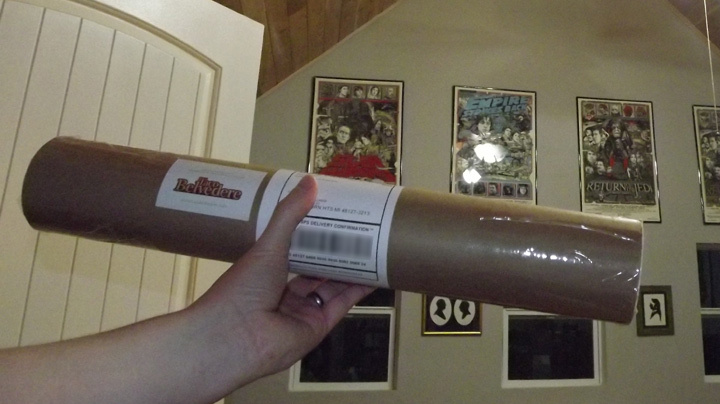 First tube ready to drop off at the post office. I only have have two questions, is it mine? And is it mine? JK glad to see these should be on the way soon, so happy I bought one and I can't wait to see the final product with my own eyes. Congratulations sir. Thanks! Can't wait for you to get your print, either!